The Bible can mean many things to many people. For some, it is merely the best-selling and most widely distributed book of all time; for others, it is a tool to look back into an ancient world and learn and study about ancient civilizations, religions, and politics; for some, the bible is a book which outlines the “do’s” and “do nots” of how one is to live their life. For believers, the Bible is holy; we read it as Scripture. 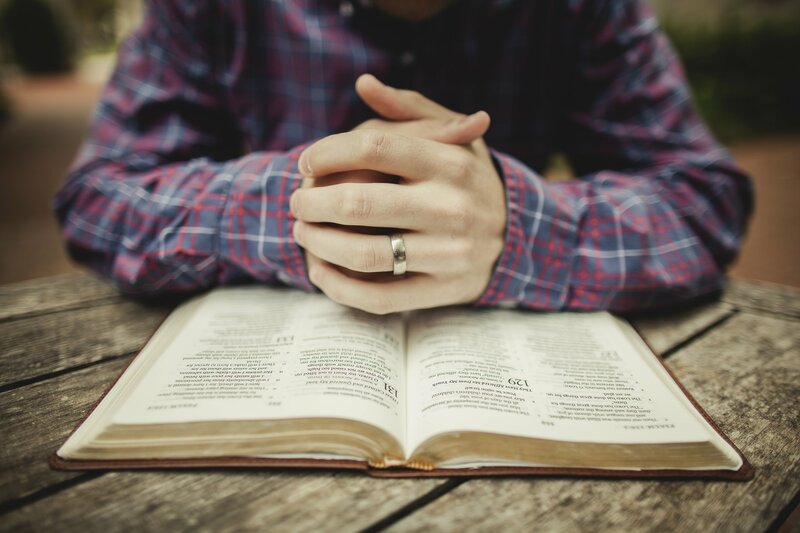 What does it mean to read the Bible as Scripture? 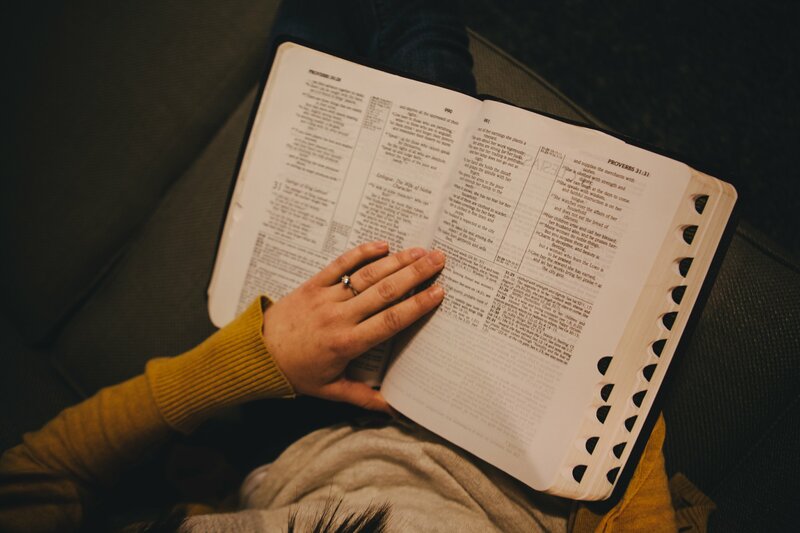 When we approach the Bible as Scripture it means that our intent is to know God and to learn how to be God’s people. Scripture shapes us. Scripture changes us. We read to be transformed, and such a transformation is necessary in our pursuit to live a life of worship. When we read our Bibles in this way, it is completely different from how we normally engage with reading material. Instead of seeking to gather information, or engage God on a cognitive level, reading as Scripture allows us to listen and learn from God. We do not rush on to the next chapter, or seek to power through our daily reading assignment; instead, we linger and contemplate what we are reading and how we react to that reading. It is in this context that we can be intentionally aware of what the God is saying to us through the text. It is a move from the head to the heart. This process requires that we read slower, and more reflectively. 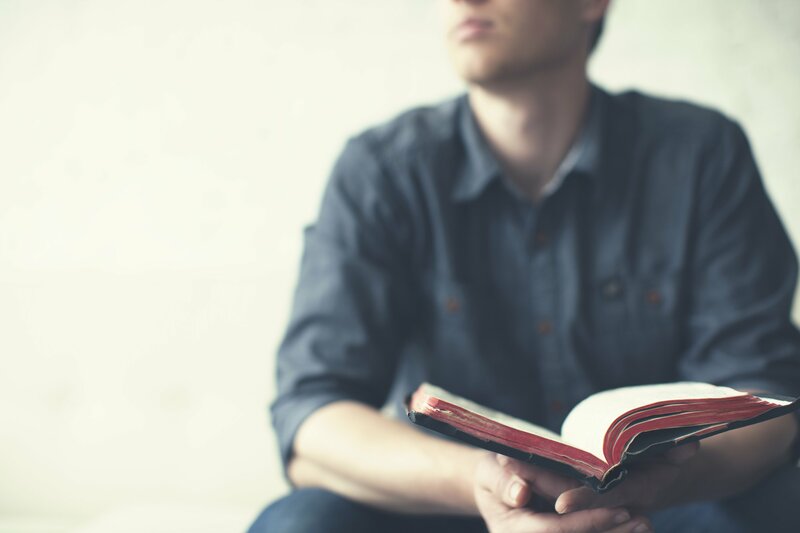 When practicing lectio divina, you will not be reading a large chunk of text, but smaller pieces, maybe only a handful of verses. Whatever section you are reading and reflecting on, you will read the passage several times, with each repetition bringing a new focus to consider. Lectio divina consists of four movements, or steps. Think of it like learning how to dance. At first, it may be awkward, and you will be very concerned about getting it right and not making a mistake. As with learning anything, it takes time and practice. Eventually, you will stop thinking about the steps (the mechanics of the process) and simply dance and enjoy your dance partner. For lectio divina, you will select a passage of Scripture that is no more than 6-8 verses in length. Then, you’ll take some time to prepare for your reading and to enter into God’s presence. In the first move, you read (lectio) and listen for a word or phrase that stands out to you. Then, pause to dwell on that word. In the second move you will reflect (meditatio) on that word or phrase. Read your passage again, and ask why that word stood out to you, followed by silence. In the third move, you will respond (oratio), read the passage again, and ask if there is an invitation or challenge for you to respond to. Take some quiet time to respond to the word that’s been given to you. Finally, in the fourth move you will read again and contemplate (contemplatio) what you have received, and rest in God with it. Below, I have outlined a simple process to follow in order to practice lectio divina. Give it a try. It is likely a very different approach to reading the Bible than you have experienced before. Do it alone, or in a group. Choose a passage (6-8 verses). It can be part of your normal reading, or something you select. Preparation (silencio): Take a moment, close your eyes, and relax your body, become consciously aware of God’s presence with you. Tell him that you are here, and you are ready to listen. Offer it up as a short prayer. Read (lectio): Listen for a word or phrase that stands out to you. Turn to your passage, read it slowly. You may find it helpful to read aloud. Let the passage sink in as you read, and listen for a word or phrase that strikes you, or catches your attention. Allow some space for silence. Repeat the word softly to yourself. Don’t ask questions yet. Reflect (meditatio): How is my life touched by this word? When you have the word, read again and listen for a way the passage connects to you. What is it in your life that needs to hear this word? If your passage is a story, place yourself at the scene, how do you react to it? How does it touch you? Meditate on this in silence. Respond (oratio): What is my response to God based on what I have read and encountered? Read the passage again, listen for your own response. How are you reacting to the word you’ve been given? 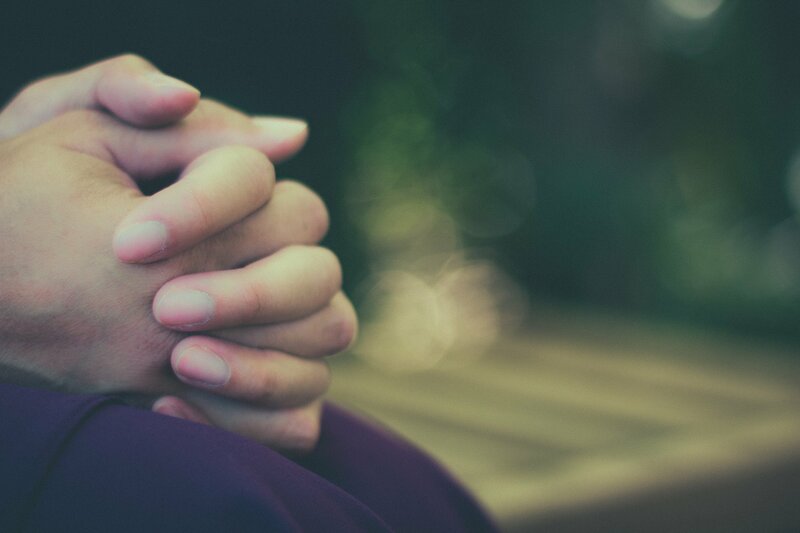 In your time of silence, enter into a prayerful dialogue with God, share with him how you have reacted, what emotions you are feeling, pour out your heart to him. Pay attention to any sense that God is inviting you to act or respond in some way. It may even be helpful to put this step to paper and write it down. Rest (contemplatio): Rest in the Word of God. In your final reading, return to a place of rest in God. You’ve given full expression to your response and now you’re surrendering to God. Resolve (incarnation): Incarnate (live out) the Word of God. When you are done resting in contemplation, resolve to carry this word with you into your life and live it out. If you were led to action, or to confession, make it a part of you as you move forward. Allow this time of reading and listening to transform you, and take you further on your journey into living a life of worship. May the Lord bless you and keep you. May you ever been willing to listen to his voice, and seek his guidance in your life. May your faith be put into practice and taken out into the world with you, and not kept privately in your heart. Amen. Quote from Guigio II, the Carthusian. A 12th century French monk. 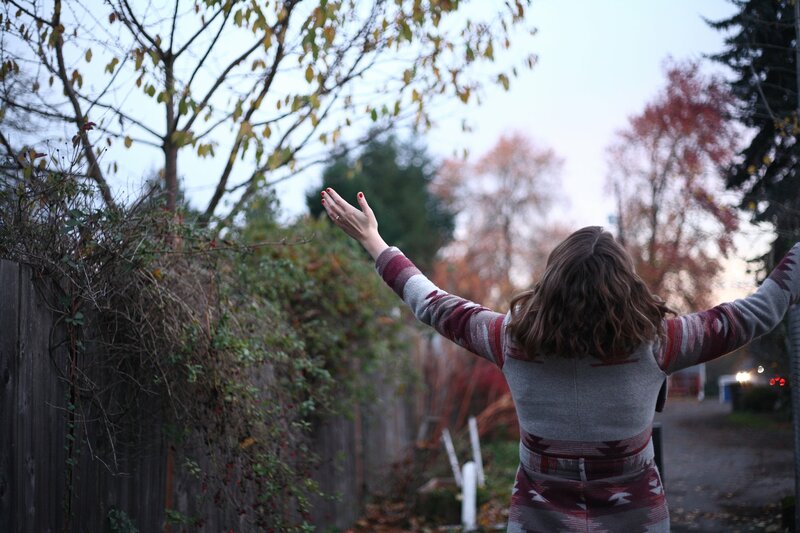 Today’s post is for those who feel tired, beaten down, and overwhelmed. Sabbath has been woven into the fabric of creation; God knew that we would need rest from our labor to keep us healthy. Learning more about Sabbath has changed my life, and I believe that it can change yours as well! I highly recommend reading the two books that influenced this post, “The Sabbath” by Abraham Joshua Heschel, and “Sacred Rhythms” by Ruth Haley Barton. Both are available in our Harvest bookstore on Sunday mornings. We are all familiar with the days of creation found in Genesis. In this first account, we see creation poetically patterned into days where God makes the entire universe in which we live. At the end of the account, we reach the seventh, final day, and the Bible tells us “God finished His work” and “rested from the work.” Wait, God finished working on the seventh day? I thought he took a day off? What did God finish on this seventh day, what did he create? In a previous post, “Living a Life of Worship” we talked about how learning to live a life of worship begins with time. Entering into menuha on the Sabbath is where we enter into God’s time. Heschel describes the world as existing in a tension between space and time. Space, is our realm where we create and we possess. In space, we build and we do. Time, is God’s realm, for not a single one of us can possess time. In time, exists eternity and the world of eternal life to which we look to in the future. We control space. Within space, we create and we build. We do. We shape the world into what we would have it be. 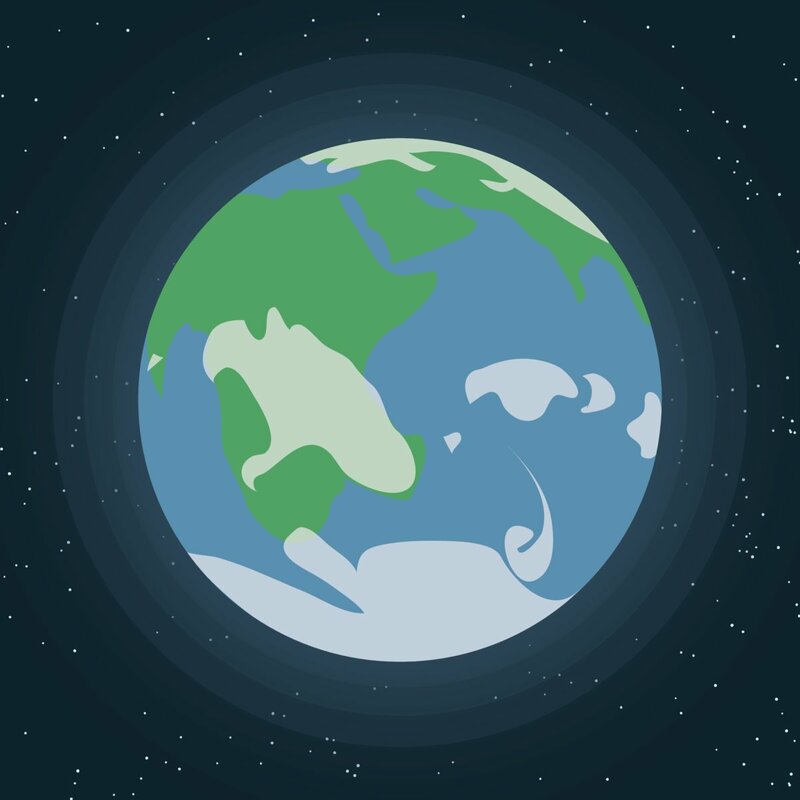 In Genesis, God commanded humanity to “fill the earth” – to build up civilization within the realm of space. The goal of space is to have, to do, to create. We spend most of our lives caught up in space. God knew this when he created the universe, which is why he wove menuha into the pattern of creation so that we would not forget to leave our space behind to seek out God in time. 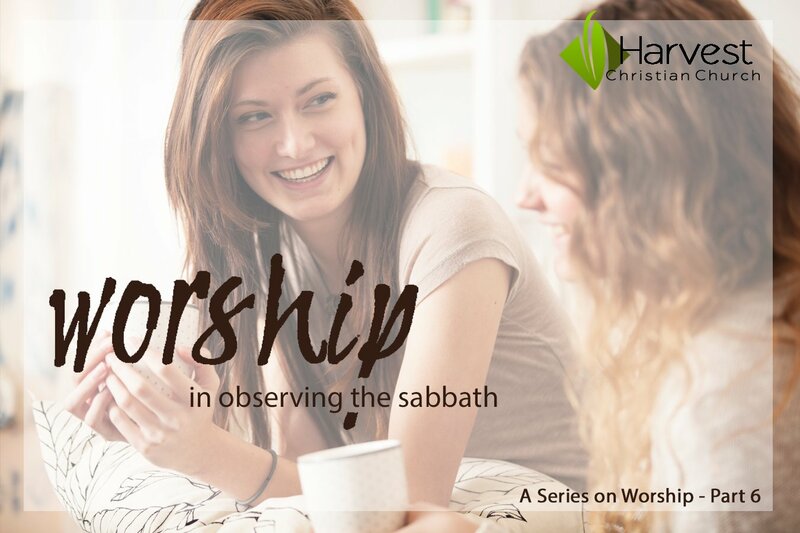 When we observe Sabbath, when we enter into God’s menuha (his eternity of time) we set aside our “doing” in the realm of space in favor of simply being. This is the meaning of Sabbath. When we observe the Sabbath we are set free from the dreaded “to-do list” that constantly hovers over us, and instead get to live in a time as if the cares and burdens of our world have already fallen away and we are already living in the eternity of the world to come. The goal of time is not to have, but to be. Maybe you have felt as I have, that there is always something to do and there is never enough time in which to accomplish everything that needs to be accomplished. Perhaps your chest will begin to feel tight, like mine does when I become overwhelmed by “doing.” Like me, maybe you will begin to lose sight of God’s eternal time and menuha. Don’t waste your life in “space” pursuing temporary life and neglecting the pursuit of eternal life and time! The Sabbath is what sets us free from having to do, anything! It is not simply something else to do, another righteous task that we have to commit. The bible tells us not to grow weary of doing good, and the way that we keep from becoming weary is by entering into menuha – on a regular basis. Menuha can’t be sprinkled around or squeezed in “when I have time” – because let’s be honest, there is never enough time. We need to be intentional about drawing a hard line between our space (our work) and our time (our rest). I hope this is making sense. The Sabbath is not another thing to “do”, as if it existed in the realm of space – it is instead something for us to look forward to! It is the climax of our week. Heschel says that the Sabbath is not a date, it is an atmosphere. Sabbath is something that we need, and God knows it. Otherwise, we risk becoming slaves to our work, and we become caught up in the rush and we never slow down. I heard someone say recently, that God rarely speaks at the rate we are running. The Sabbath is about slowing down, and matching our pace with God. It is about letting go of everything temporary in this world that demands our attention and our time and instead giving our bodies and spirit a day to bask in the eternity of God’s time. Doesn’t that sound lovely? I don’t know about you, but I’m busy. I’m so busy that there are days when I don’t have the time, energy, or inclination to do much of anything for anybody. There are days when I don’t have time to “waste” on my three year old daughter who just wants to sit with me, or read a book. Weeks can go by without spending time with friends or family. It is rare anymore that I can even remember a day where I felt “bored” because there was “nothing to do.” I am such a do-er. Resting is not my strong suit, I like to accomplish things and be productive! Yet, God is calling me to put down my work and enter into his rest. Maybe he is calling you into menuha as well – and perhaps you have been too busy to notice. The question remains, how do we understand Christian Sabbath? In Jewish observance, on the Sabbath there is no work for an entire day, time is sanctified, and family gather together. For a Jew, observing Sabbath was part of keeping the law of Moses. We may not be bound by law to observe Sabbath, or to enter into menuha, but it is still a beneficial practice. As for incorporating Sabbath into your life, I have some suggestions. First, find a day or a window of time in a day (it really doesn’t have to be the whole day) where you can devote time to entering into God’s rest. Use the following “litmus” test to determine if what you are doing during your Sabbath is true to its purpose. If an activity falls into one of these categories, its Sabbath honoring! Faith based. The Sabbath is a holy time of entering into God’s rest. It needs to be centered/focused on God. Family focused. 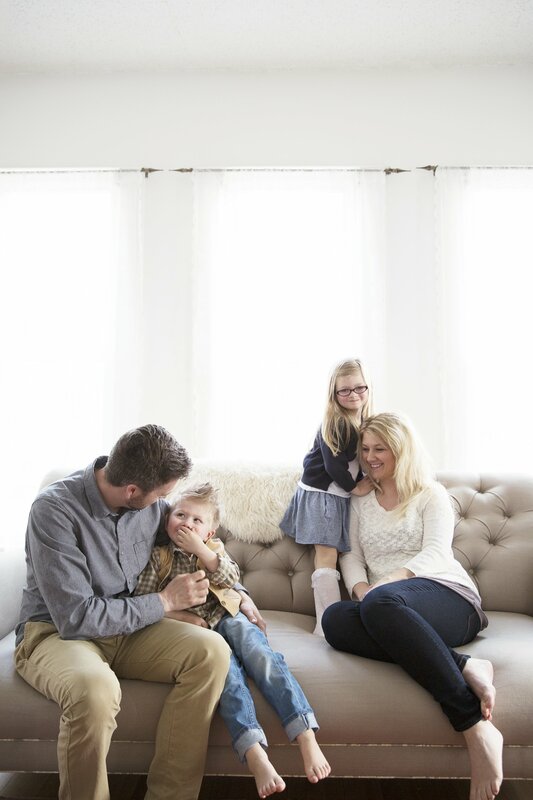 Sabbath is a time for family to be infused with God’s goodness and presence together. Friendship. The Sabbath is communal. It is not the same as spending time alone in silence or solitude to recharge. It is about entering into eternity with God, and with others. It is about living as if we are already enjoying eternity. Freedom from “have to.” In God’s time, we leave behind our space. We don’t do anything because it has to be done, we do because we want to. Fun. The Sabbath is not a somber duty; it is a day of celebration and joy! It’s a time to play games and have fun. I challenge you to find time, as a family, to participate in Sabbath rest. If you’re having trouble finding a time slot try drawing out your weekly schedule by day and time. Color in the blocks of time that are already committed to things that cannot be changed (like your work schedule). Next, color in the times where you’re involved in church related activities, like your small group or attending on Sunday mornings. If there is any other things you do on a regular basis, fill those in as well. Then visually look for the gaps. For my family, that gap was Saturday morning. That is our time of Sabbath. We do whatever we want to do, together, on that day (as long as it isn’t a “have to”). Sometimes that means sleeping in, having a late breakfast, and then going on a drive or a hike. Other times, it involves going to the park or visiting with friends. Anything that is Sabbath honoring. Give it a try. See how you feel. Find freedom in “rest” and let your “have to’s” wait for a little while. Enjoy it. Find your stride again. May the Lord bless you and keep you, and may His most Holy Spirit continue to call you into the eternity of his time and give you rest. Remember, that our control over space is only temporary. Let us not get so caught up in “doing” that we forget to simply “be” in the presence of God. Amen. “First account”? In Genesis, there are two creation stories – have you noticed? The first is in 1:1-2:3, the second is in 2:4-25. The order of creation differs slightly in each account. Additionally, in the first account God creates all of humanity; in the second, He creates one man and one woman (Adam and Eve). This post is heavily influenced by the chapter “Solitude: Creating Space for God”, from Ruth Haley Barton’s book “Sacred Rhythms: Arranging Our Lives for Spiritual Transformation.” If you’re anything like me, having quiet time alone is a rarity. 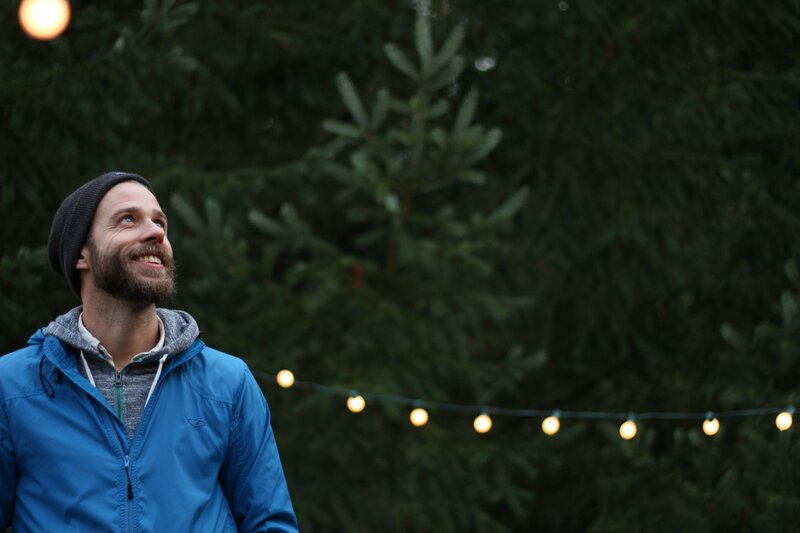 It may even feel like a luxury that you cannot afford, yet entering into silence and solitude on a regular basis is vital to not only becoming more aware of God’s presence, but also teaching us how to be present with God – important aspects in living a life of worship. 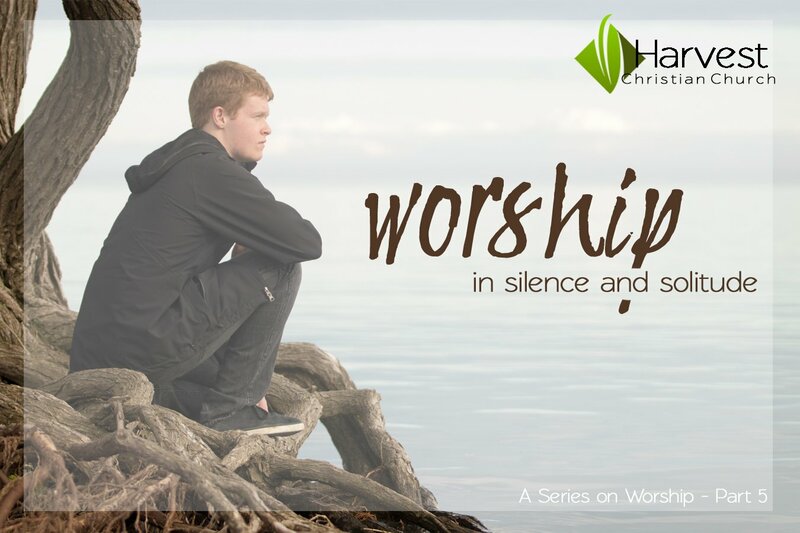 We are going to begin our journey into constructing a pattern of life that allows us to live wholly in worship to God with silence and solitude. Silence and solitude are two things that are very difficult to find in our modern, western world. Try for a moment to think back to the last time you experienced silence, real silence. There is always noise in the background. One of the only times I can remember being in utter silence was deep in a cave underground, where there was no light and the natural noises of the earth were blocked out by the thick, surrounding rock. It’s nearly impossible in this world to find pure silence. In fact, silence makes us uncomfortable. We try and fill the emptiness with something, anything to keep it from being silent. I’ll be the first to admit that I need noise to sleep, because when it is silent I cannot sleep, so I turn on a fan to block it out – isn’t that odd? What is it about silence that makes it difficult to relax? I think that it is because we are vulnerable in the midst of silence. It is in silence, stillness, quietness, and solitude that our soul will emerge from the trees and make itself known. This is why solitude is so important. Solitude is an opportunity to interrupt the noise and stimulation of life, and give allow ourselves to be quiet so that we can hear our loneliness and longing calling us deeper into the only relationship that can satisfy our longing. The longing for solitude is the longing to find ourselves. The longing for solitude is the longing for God. 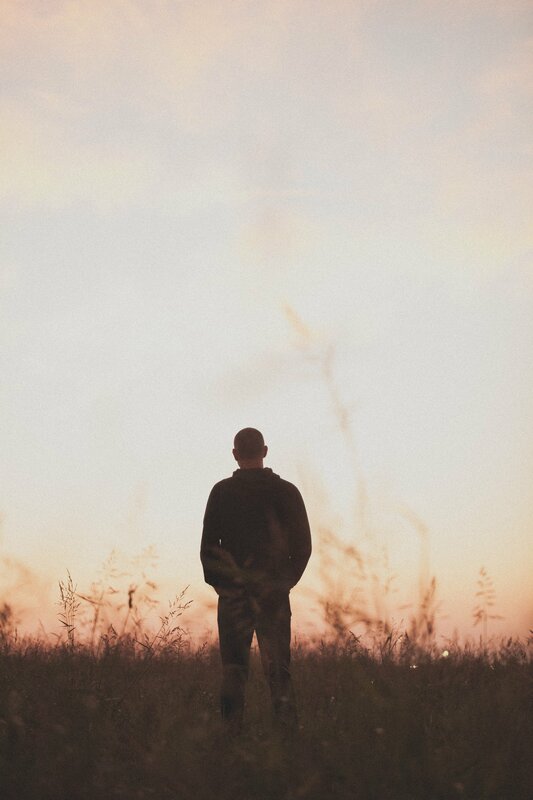 The goal of silence in solitude is to hear and acknowledge our own hearts; to know and take seriously, what is happening inside of us and rest in that knowledge with God. This is not a time for problem solving, or action, this is a time of discovery and recognition. It is important to set aside regular time to step out of the noise and commotion of life and consider how your soul is faring in the midst of all the hustle and bustle. When was the last time that you sat in silence, alone, and listened to your own heart? I’d like to encourage you to give it a try. Find a place that is comfortable to you, where you can relax and be open and available to God. 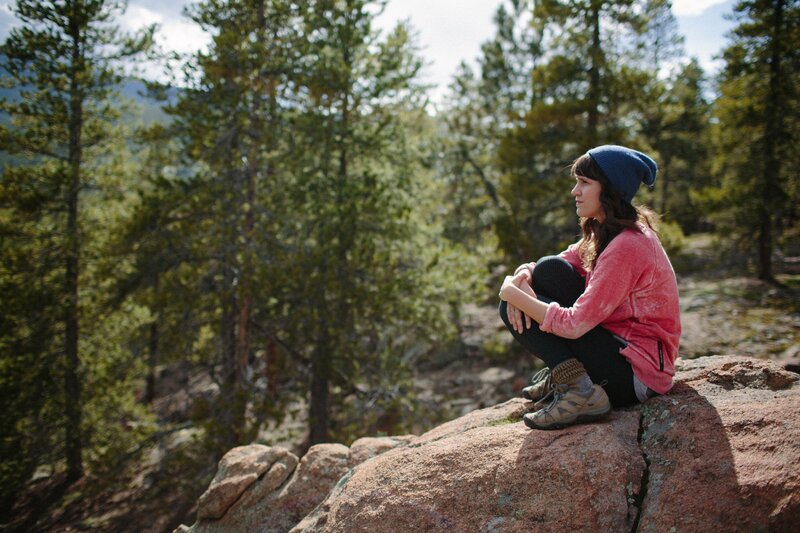 Take some time to settle in and just breathe deeply. With each breath, become more aware of God’s presence and your desire to be present with God. This is called centering-down, and for me it can take a while. My mind doesn’t like to stay centered and still in the moment, it likes to run miles an hour after all the things that need doing. Take the time to properly center down, don’t give up or get upset at your wandering thoughts. Be persistent, keep breathing, and keep relaxing. Don’t speak. When your mind has gotten quiet, and your body has become still, start to think about your life and begin to notice what is true about you these days. Take your time, and go slow. Don’t rush to make something happen. Embrace the silence. Allow your soul to emerge and say something to you that maybe you have not wanted to admit. Is there an emotion that needs to be expressed (anger, joy, grief, confusion)? What have you been too busy to notice? Spend a solid amount of time in solitude, I recommend starting with 30 minutes and a couple times a week. Allowing your soul to rest in silence and solitude is a blessing that you need to be experiencing. Take some time and look at the story of Elijah meeting with God in 1 Kings 19:11-13. God’s voice was not found in the noise, busyness, or chaos – God’s voice came to Elijah in “sheer silence.” Have you been creating space to hear God in the silence? Or, has your life been overrun with noise and “to-do” lists? 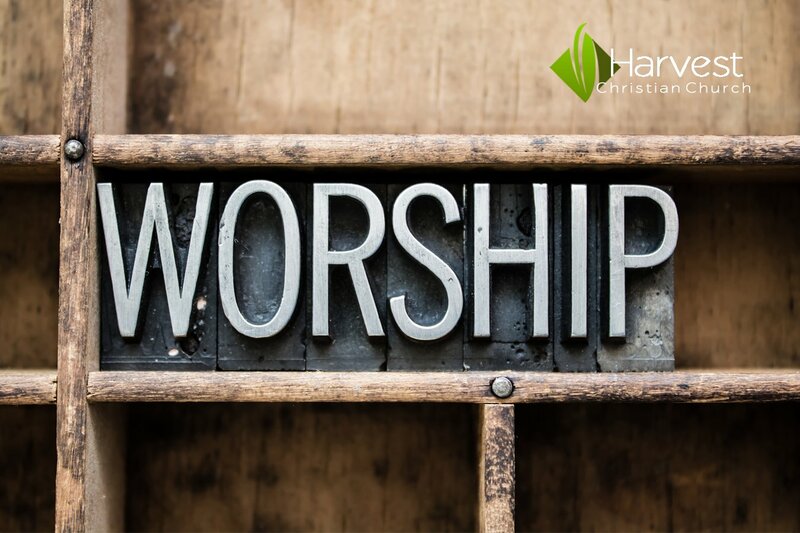 Building a life of worship takes intentionality, it requires that we set aside our previous patterns and unhealthy tendencies and re-shape and re-order our lives to more closely reflect the life of Christ. 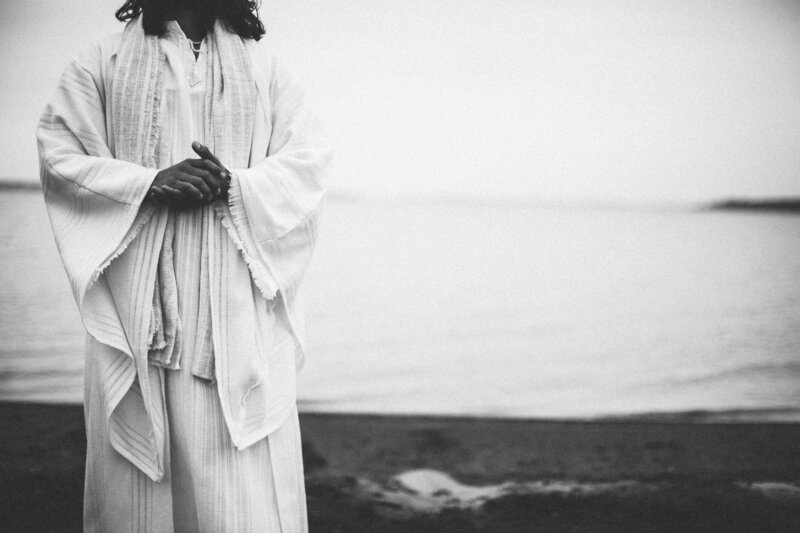 Jesus was never “busy” or “in a hurry.” His pace of life was so different from many of ours. Use times of Silence and Solitude to filter out everything that you “have to do” and focus on allowing God to speak to your heart. He will show you what work you truly need to focus on, and what things you need to let go of. It is time to learn how to rest. May the Lord bless you and keep you, and may you learn to be still and listen to His voice again. Remember, that even our Lord Jesus took time away from His ministry to withdraw from the crowds. If Christ required silence and solitude, how much more do our own souls need to be consistently re-grounded in the presence of God? May the Lord bless you as you seek to re-order your life to truly live a life of Worship, in His name. Amen. Not so comfortable that you fall asleep! 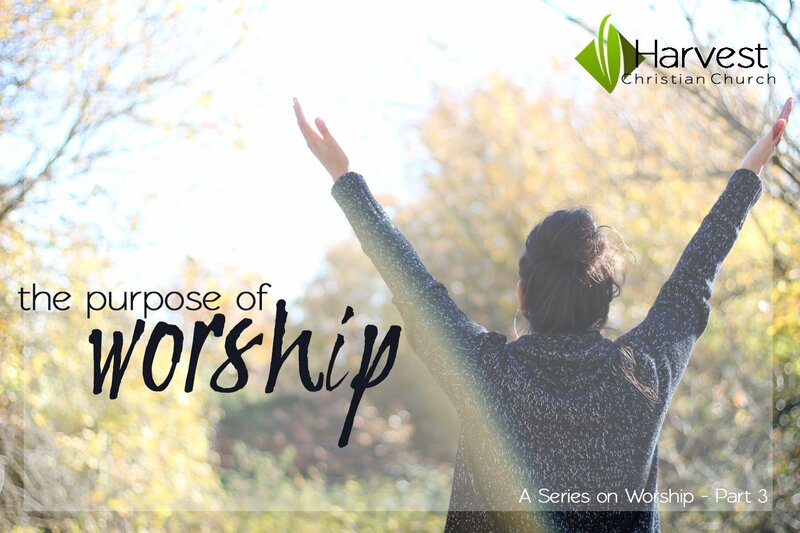 Today we are continuing our journey into learning how to live a life of worship. We will be introducing the spiritual disciplines today as patterns that we can infuse into our lives in order to acquire new “habits” that will re-direct our life of worship to its proper place: to God, and God alone. Learning to live a life of worship takes practice, intentionality, and commitment. In a previous blog post, we talked about how easily we can fall into patterns of false-worship, often without being consciously aware that we are doing so. In order to combat these patterns, which are rooted in our very culture and society (even trends! ), we must introduce different patterns into our lives that are designed to bring us into a life where we are living out our worship to God. Our call is no different. As Christians, we too follow Jesus. This means that we are to be with Jesus, become like Jesus and do what Jesus did. We have to be willing to give him everything. It all begins with time, with being with Jesus. The more time we spend with Jesus the more we are transformed into his image and we become like him. Finally, we need to put that into action and do the things that Jesus did. If we don’t, can we really say that we are following him? Read that quote again. Really. Let it sink into your mind and heart. We live as citizens of heaven, but we are also still physically living within this world (the rival kingdom). All around us are the rival kingdom’s language, habits, customs, trends, values, and culture. In Christ, we are called out of that kingdom and into his glorious future kingdom, right now, in this present moment on this earth. In order to remain citizens of heaven, and not revert to our previous citizenship, we need a new way of life. We need to learn the language of Jesus, and acquire his habits, customs, trends, values, and culture. God created us to be creatures of habit. As the creator, He also knows how formative those habits are on our lives. The more we engage in habitual activities the easier they become and the less we think about them. So, rather than allowing our present world, this rival kingdom, to give us habits and patterns that take us away from God, we should look to Jesus to learn the habits and patterns of God’s kingdom so that we may be his representatives (his ambassadors) in this rival kingdom. We know these patterns and habits as the spiritual disciples. 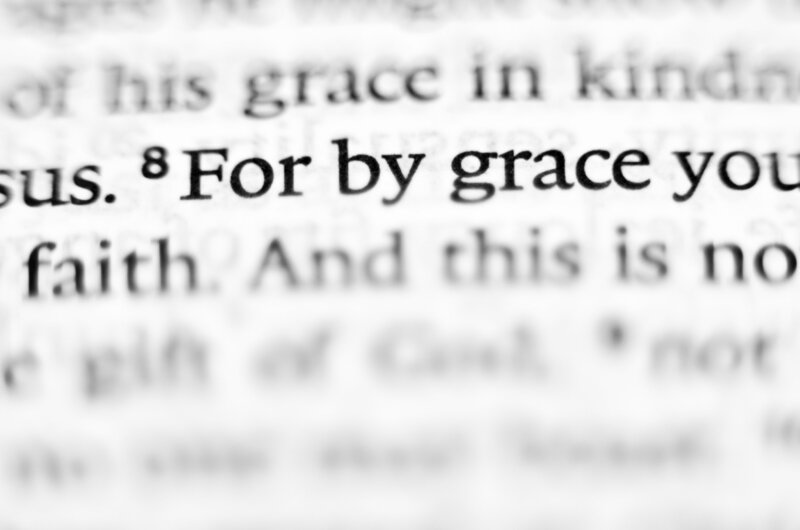 Dallas Willard describes the spiritual disciplines as conduits to the Spirit’s transforming grace. It is through the learning of and devotion to these practices that we become transformed into people who live a life of worship. These practices are a gift from God, designed to meet us right where we are in order to counter the patterns of the rival kingdom (all the other things that tug at our attention and devotion). Perhaps you have tried to squeeze in a spiritual discipline or two in the past and have not been very successful. Maybe you have previously sensed that you need more of God in your life, but you aren’t sure how to go about doing such a thing. Or, it could be that you feel like a completely different person on Sunday mornings at church than you do on Monday mornings at work. I believe that the solution to these situations (and many others) is to completely wipe the slate clean, start from scratch, and re-pattern your life into a life that will lead you deeper into spiritual transformation and into a closer, more complete relationship with God. This re-ordering is done so that God exists at the center of everything we do, day in and day out. This is where adopting the habits of the spiritual disciplines comes in handy. If these practices form the core of your day-to-day life, everything else will revolve around them. 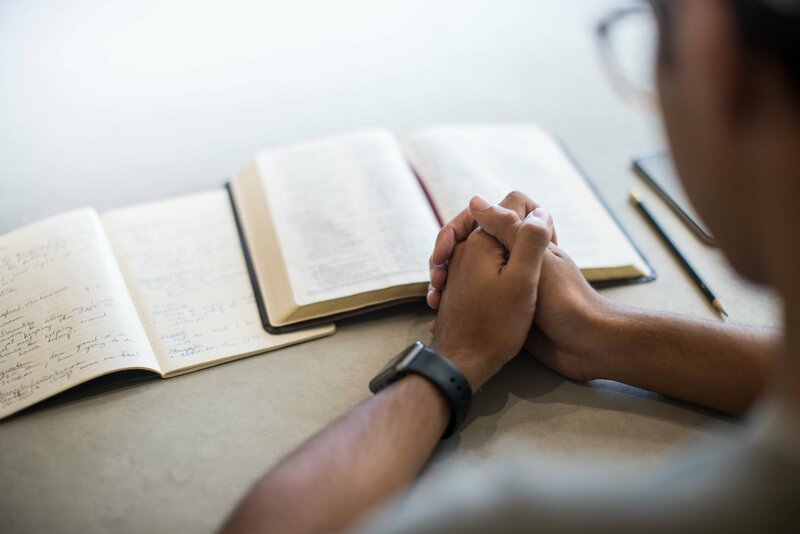 In the blog posts to come we will be focusing in on the following spiritual disciplines: Silence and Solitude, Sabbath, Bible Reading, Confession, and Prayer. 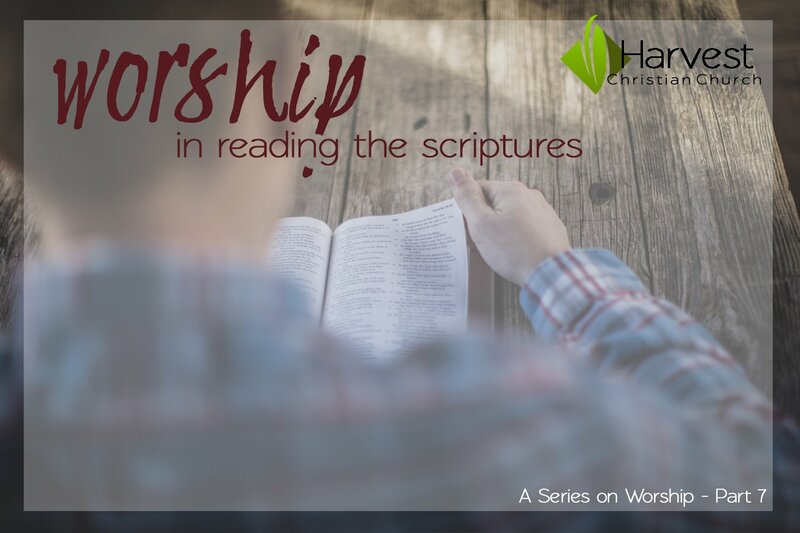 Through these practices, we will learn more about what it looks like to live a life of worship. I once heard it said, “If you give God the time of your life, he will give you the time of your life.” It all begins with time. And it is time to start living your entire life in worship to the Almighty God. May the Lord bless you and keep you, and may His most Holy Spirit work in you a transformation of your time and habits, that your life may become more aligned with the life of Christ. Remember that you are a child of God, and are no longer a child of the world. As such, you are called to a new life, with new habits, in a new kingdom. May we never cease learning how to be more like Jesus or grow weary of doing good. Amen. Dallas Willard, The Spirit of the Disciplines (San Francisco: Harper One, 1999). Today we will define why we need worship, what it is designed to do for us and in us. Much of today’s post was generated from my notes on a lecture about liturgical worship. Today’s post will be a short one! I hope by now that this series has challenged you to examine your life through the lens of worship, and has helped you discover any areas in your life that you have not surrendered over to God. If you have not read the previous two posts, “Our Life is Our Worship” and “You Are What You Worship” I encourage you to go back and check them out before proceeding to the post below. 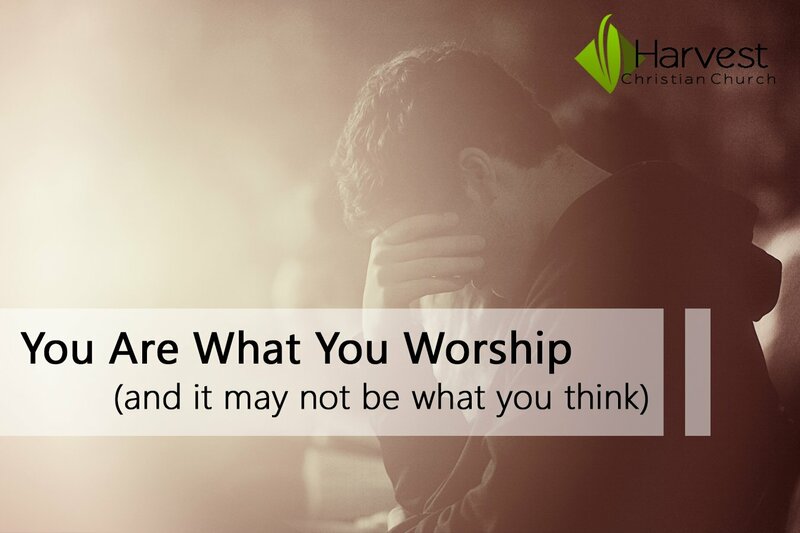 In my last post, we examined the idea that “You Are What You Worship.” We discovered that worship isn’t merely something we do, but worship does something to us as well. And, as sinners, we can often end up worshipping things that we should not be worshipping, even without fully realizing what we are doing. This is a simple and succinct statement concerning the purpose of worship. Yet, there are a few, rather large, aspects to this purpose statement for worship. So, I’d like to break that statement down a bit. First, worship is for the “glory of God.” As believers, we gather in worship to extol the nature of God; to celebrate His glory and His glorious attributes. Simple enough, right? Second, worship is for the “sanctification” of the faithful. This one is a little trickier because sanctification is one of those churchy words that we use a lot, but are not always quite sure how to define what it means. Sanctification, simply put, is the biblical concept of making God’s people holy. Remember, holy simply means to be set apart. Therefore, the purpose of worship is also to shape us into people who are different from other people, set apart for God and His purpose. This is what we examined in the previous blog post about how worship is formative – it does something to us. Finally, we see that worship is for the “edification” of the faithful, another churchy word. Now, edification is not about making people feel good. It is a word that communicates action, specifically the act of creation/building up. This is “architecture” language here (think “edifice”). Edification is the creation of a structure, the building up of Christian Community as the temple of God. Think of it this way, the gathered people are depicted as stones that are built together, through worship, to become the temple of God. What a great image! In this simple quote from Pope Pius X we see a complex and beautiful image of worship emerge. Worship is so much more than simply singing songs. Worship is about giving glory to God, which transforms us into the people of God, who together form the living temple of God. Worship is something we do, but it also does something to us – and it is all for God’s purposes. Worship is where we come together, unified in the Body of Christ, to celebrate God and what He has done for us. In worship we offer up praise, but we also experience the presence of God, and receive communication from Him. Worship shapes us into people that are separate/different from the rest of the world. Worship gathers us together, collectively, to construct a living temple dedicated to God. Worship isn’t merely the hour, once a week, that we gather on a Sunday morning in the auditorium. Worship is every hour, of every day, in each week and month and year. Worship goes out into the world with us. Worship is in our families, our jobs, our relationships, our priorities, our interests, and our actions. Worship is who we are and what we do. Worship is all of us. Worship is our lives. This leads us naturally into the next question: what does it look like to live a life of worship? More on that, in the next post. May the Lord bless you and keep you, and may His most Holy Spirit continue the good work in you until Christ has been fully formed in you. May you always remember that you were created to love and to worship God, and that He alone is worthy of your love and worship. God, continue to build us together in worship into your temple, that we may be the place where the lost people of this world can come to encounter your presence. Amen. Today’s post will offer insights from the book, “You Are What You Love: The Spiritual Power of Habit” by James K.A. Smith. I highly recommend reading this book – you can find it in our Harvest Bookstore on Sunday morning! “You Are What You Love” has been both powerfully illuminating and convicting for me personally. It’s worth it to invest some time in reading it, it may speak to your heart too! 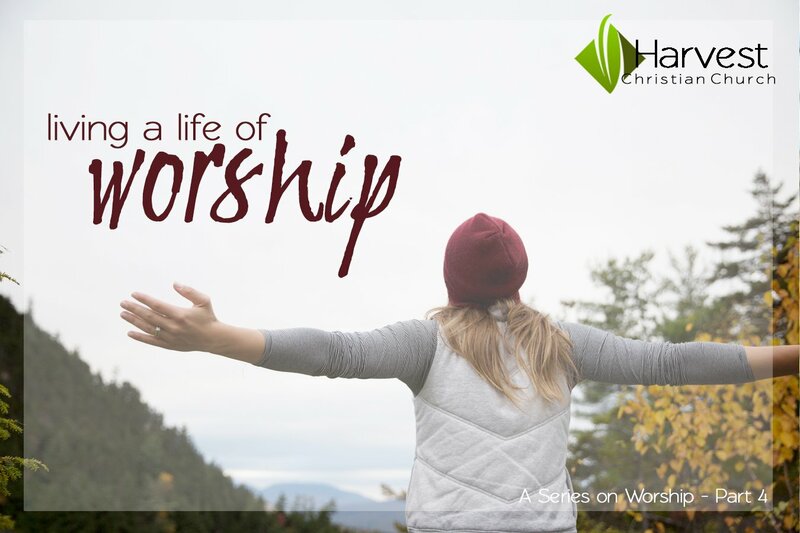 In my last blog post, Our Life Is Our Worship, we highlighted the seemingly popular idea that the word “worship” is synonymous for “music” or the singing of praises. Indeed, music and singing are activities that we can and should engage in, but they do not encompass the entirety of what worship truly is. Worship is so much larger than that. In his book, “You Are What You Love”, Smith identifies that to be human is to worship, and that worship is not optional. Whether we are aware of it or not every human being on this planet is worshipping something. We will always, at some point, end up in a state of worship because we cannot help it, we are hard-wired to love something as ultimate. God wove worship into the very fabric of our beings, indeed into the whole of creation! First, we are creatures made by God for worship, worshipping is simply not optional. Second, because worship has been woven into creation itself, it engages our entire self and becomes inseparable from the lives that we lead. Additionally, how we live our lives will declare what we are worshipping because we are what we worship. Pretty simple, right? The point is this: at the heart of worship is love. What we worship will be the thing that we love the most. Stay with me now, because this is where it can get tricky. It is at this point that Smith introduces another piece to the puzzle: you might not love what you think. The scary truth is that we may not actually love what we think we love, or even profess to love. Actions speak louder than words, right? If our life is our worship, and our worship stems from what we love, than we must examine ourselves honestly to see what it is that we love most. The truth is that we live in a world saturated by sin. A world that does not worship God. A world where the normalcies of its culture will try to teach us to worship things other than God. Therefore, it is vitally important to be aware of the culture of the world that surrounds us. We live in a world that plunges us into patterns of living and habits that attempt to re-direct our worship, our hearts, what we love, our time, to things other than God. So, here we go. The following questions might be uncomfortable for you, they certainly were for me, but I believe that they are questions that we must ask ourselves. Are you ready? Let’s begin. Think about this: what do you want? Where do you place meaning in your life? From where do you draw your strength? What is the source of your identity? What do you love the most? Because that is where you will spend your time and energy. And remember, how you spend your time/energy/money will reveal what you love, and you might not love what you think (and we worship what we love). Is it money and possessions? Are you always looking for that next raise? The bigger house? The newer car? Do you need to have the latest and greatest technology? If this is what you worship, you will never have enough. You will always want more. What about your body? How wrapped up are you in your beauty, attractiveness, or athleticism? 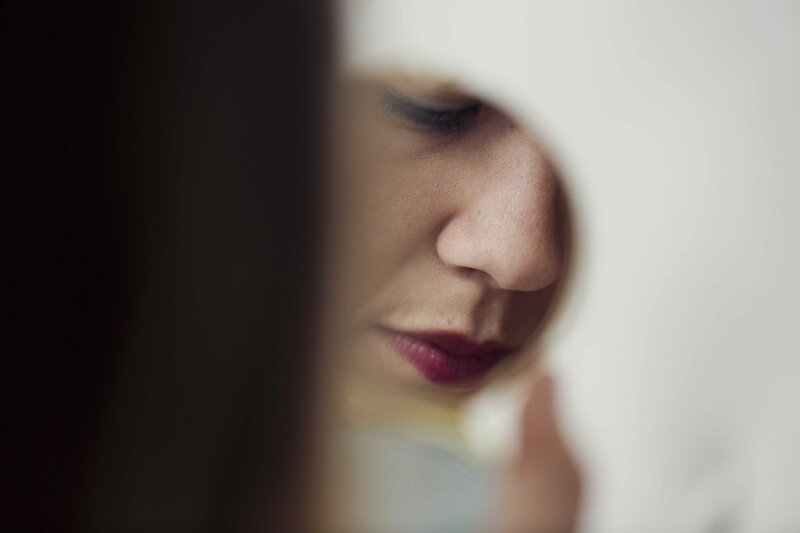 Have you fused your sense of identity with how you look, or how your body can perform physically? If worship your body you will never be strong enough, thin enough, pretty enough, and eventually not even young enough. Or, perhaps the thing you seek the most is power. Do you have to be in charge, do you have to be in control? Are you seeking power, which you will never have enough of, because it makes you feel important, safe, secure, and strong? If you worship power, you will only ever feel weak and afraid. Do you worship your intelligence? Is being the smartest person in the room important to you? Do you feel the need for people to recognize that you are right? Do you desire to have a reputation for always knowing what you are talking about, for being accurate? Can you admit when you are wrong? Worshipping intelligence will only highlight to you the people who know more than you do, and you will always feel inferior and seek to prove yourself. I believe that Wallace touches on something key here, that it is possible to end up worshipping things subconsciously. If we are not careful, the habits, trends, and rituals of the world around us become normal patterns of life. Temptation enters our lives subtly. Not all sins are decisions. Sin can become a habit, one we become so used to that we don’t even recognize it as sin anymore. Remember, we are called to be “transformed” and “set apart.” There is danger in conforming our lives to the patterns of this world. Even the small, innocuous and subconscious habits we develop become dangerous when they replace God at the center of our hearts and lives. Paul’s flesh (sin) is at odds with his spirit (Christ in him). Paul is a new creation creature, a citizen of the Kingdom of God, living in a rival kingdom. What Paul is expressing is something to which we can all relate. We want to live lives of true worship to God, we want to be transformed and live holy lives, but we still mess up – we still make mistakes. There are influences all around us that try to steal away our attention from directing our lives in worship to God. The first step is admitting it. In order to live a life of worship we need to create new patterns, new habits, in our lives so that our worship can be re-directed to its proper place: to God, and God alone. It is not something that happens overnight, and we cannot simply think our way to transformation. We need to cultivate an environment where the Holy Spirit can transform us from the inside out. We have many tools at our disposal, several counterformative patterns that we can utilize to cultivate a life of worship. We call these patterns, “the Spiritual Disciplines” and we will be learning more about these practices over the next several weeks. NexGen is a college age Bible study group that encourages students to move past high school life and into mature, Christ-like, adulthood. 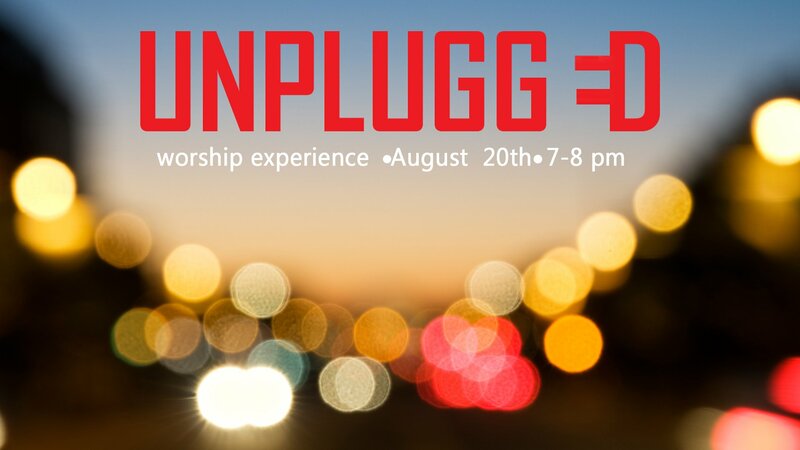 At Unplugged we take time to come before our God and worship Him, guided by His Spirit. We lift up our voices in song and prayer, offer encouragement, and share scripture. Check your phone (and the “rush”) at the door. We invite you to leave the world behind for a while and spend some time with other believers in a simple, unstructured time of worship and praise to our God.